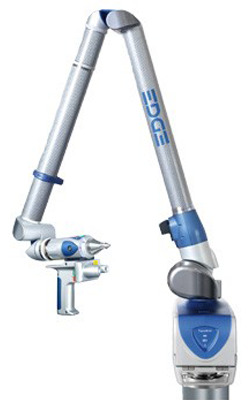 The FARO® Edge & ScanArm ES 3D Laser Inspection Arm. Now, nothing’s out of reach. and power for optimal metrology you demand. FARO® is the first-ever company to integrate a built-in touch screen with an on-board operating system. This “SmartArm” technology provides stand-alone basic measurement capability for optimal portable metrology. At Leading Edge Aerospace, that innovation is another reason why we partner with FARO®. Another reason? 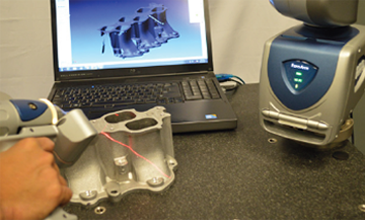 Improving the ability to scan challenging surfaces by combining both hardware and software improvements to boost performance. That’s staying on the leading edge. That’s Leading Edge Aerospace. Just call Ben Johnson at 316-942-1301, or, send him an email. They’re ready to help, right now!